A talk by Dr. Anne Farrer Texture, Design and Colour: the Reduction Print in Modern China. Please join us on 22 February 2018 for the talk Texture, Design and Colour: the Reduction Print in Modern China by Dr. Anne Farrer, a preeminent expert in Chinese prints, on the occasion of the solo show Reflections in a Blue Lake: The Woodblock Prints of Chen Li. 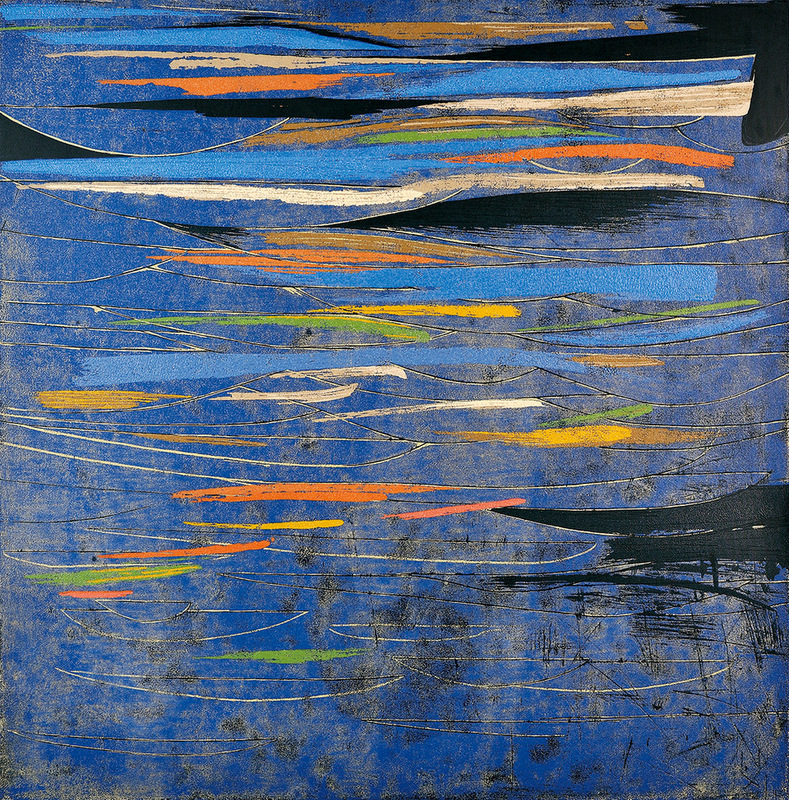 Chen Li, Reflections in a Blue Lake, 2010, reduction woodblock print, 100 x 100 cm, Edition of 12. Dr. Ann Farrer is an author, curator, and historian of Chinese painting and graphic art. Dr. Farrer is currently the Administrator of the Muban Educational Trust and a Course Leader at the Sotheby’s Institute of Art, and formerly the Assistant Keeper of Chinese paintings, prints, and the Chinese Central Asian collections at the British Museum. Spaces are limited and we kindly request an RSVP. Please click here for additional information and images.